Does the Personal Letter Really Seal the Deal? Hot market? Being competitive is crucial to getting the home. Many first time home buyers may get knocked out of the game because they can’t compete with all-cash buyers and investors. So how can first-timers compete? In the mid-2000s, this type of negotiating was vital in order for buyers to get a home but now it’s come back around again. Some agents will tell you that the personal letter to sellers doesn’t work anymore, but try telling that to Dianna S., who was just able to move into her first home because of a letter just like that. It may not work in every scenario but it certainly worked for Dianna and it can work for you. Dianna had been struggling to find a home for sale and every time she found a great home, she was shot down by a better offer. This got Dianna and her agent to go back to the drawing board and reevaluate their strategy. Instead of maxing out her budget, they looked for home $10,000-$30,000 under her budget in order to bid over the asking price. With diligence and a solid offer, they were finally able to lock in a contract on a home but not before Dianna wrote a personal letter to the sellers. “That’s what got me the house. After I had closed on the home, I was able to meet the seller and his wife. They honestly told me that it was my letter that made their decision. My offer was just as strong as the others, but I wrote an honest and sincere letter. I spoke from the heart about why I wanted this house and I got to where I am today. I made a connection with the sellers. In this tough market, there has to be something that can set you apart from other buyers. In my case, I knew it wasn’t going to be money, but I had a unique story and perspective on life. 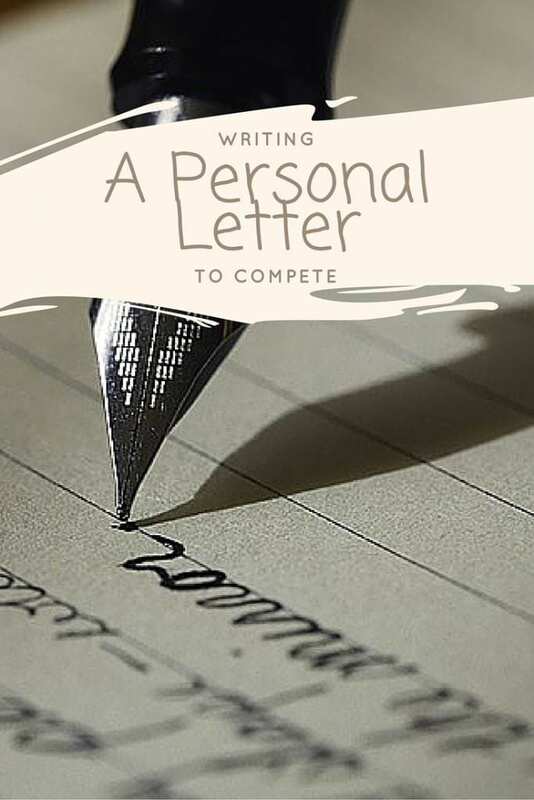 Sharing that journey brought me into another one.” ~ Dianna S.
So what do you say in a personal letter? Flatter first. Remember, this needs to be an emotional selling point, not a business one. Your agent can deal with the business side of the transaction but as a buyer, you need to appeal to the seller’s emotional side. Complement the house, tell them how it makes you feel and the way they have decorated or kept the home in good condition. Be straightforward. Don’t go on and on about flattery but make your point simple and get to the reason for the letter as quickly as possible. Give them two or three reasons why you would be the best buyer for the home and streamline your message making it extremely memorable. Be polite and clear about the message are trying to portray. Paint the picture. Tell the sellers why you want to live in this particular neighborhood. Try to paint a picture of how your life will be in this neighborhood. Let them know that you can see yourself walking your kids to school along the tree-lined sidewalks, etc. Point out similarities. Try to point out little similarities where you and the seller might have something in common. This could come from a looking at pictures or items within the home when you toured the property. Perhaps they like golf, are family people, a large backyard, or pets. Don’t point out differences or changes that you’ll make. Stay away from terminology that implies you’re going to remodel or change the house. Obviously, the sellers like the property for a reason so changing it might make them wary of choosing you as a buyer. Show humility and stability. Make sure the sellers know that you would be humble and honored to live in their home. Be appreciative, especially when signing the letter such as “thank you so much for your time or the opportunity”, “we are honored to have the opportunity”. Edit. Now you’ve created this great personal letter the worst thing would be to have a typo or misspelling. Check your grammar and your spelling and have someone else read the letter as well. Be creative. Your letter may not be the only one they receive so make it stand out with pictures of the house, unique letterhead, or even making a video and put a link to it in the letter. Personal letters do still work, especially in a tight market. They’re not guaranteed every time but it can target the heartstrings of your seller making them choose your offer over the rest. For more information about negotiating for your first home or other answers to your home buying questions contact my office today.